1 This is an account of the days before the flood. 3 The people heeded Stephen’s proclamation and built arks which could hold animals for the duration of the flood. 6 The people obeyed Stephen and began gathering food which would be eaten by each type of animal. 7 Once the food had been collected the people proceeded to select the animals which they found most appealing to them. 8 Each person filled their ark in preparation for the flood; with animals, and with food for those animals. Each person gathered however many animals they could support, from the young animal, to the old and hoary elder beasts. 9 Immediately before the flood arrived, a man named Noah was given a special command from Stephen; to collect exactly two of each kind of the animals and to place them into his ark. If two pairs were not available, Noah was to take them directly from the arks of the other people. 10 The others were not happy about this, but chose to obey Stephen and to allow Noah to proceed. 11 For 40 days and 40 nights it rained, and the people lived in their arks, with the animals they had chosen. 12 When the waters subsided, the people and their animals emerged and were rewarded by Stephen for their obedience and perseverance. 13 The people spread out across the land and prospered. And never again did a flood come which would cover the earth. 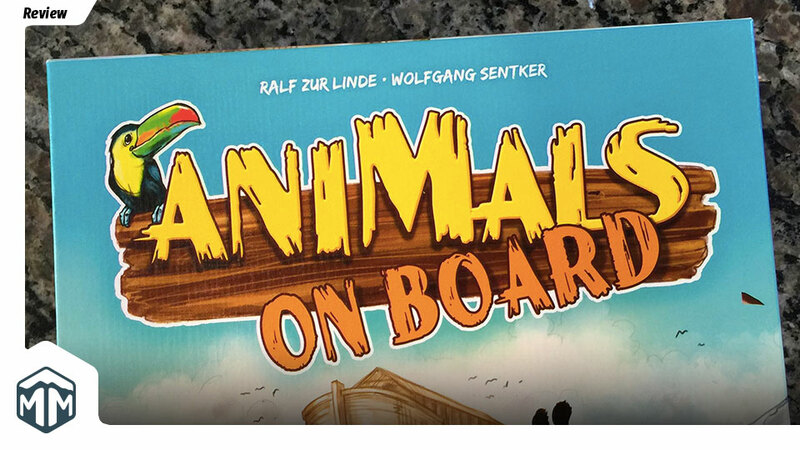 Animals on Board is an absolute delight to play. It’s a light, tactical set collection game which will have you alternately crowing with delight and tearing your hair out with frustration. On their turn, players will have two choices. Split one group of animals into two groups (of any size). Collect a group of animals, by paying one food crate for each animal in the group. 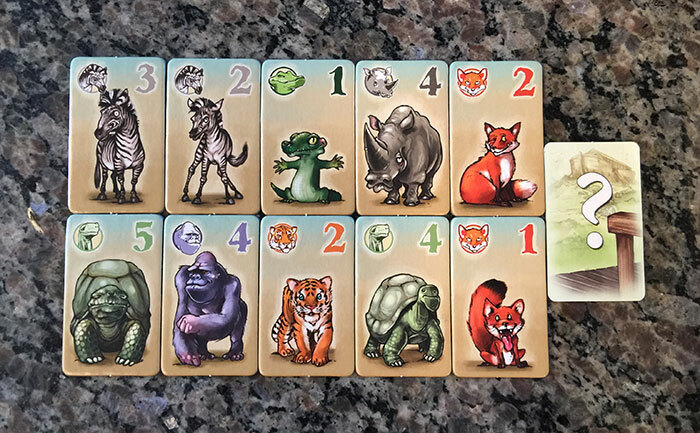 After each player has had a turn, new animals are laid out and a new round begins. 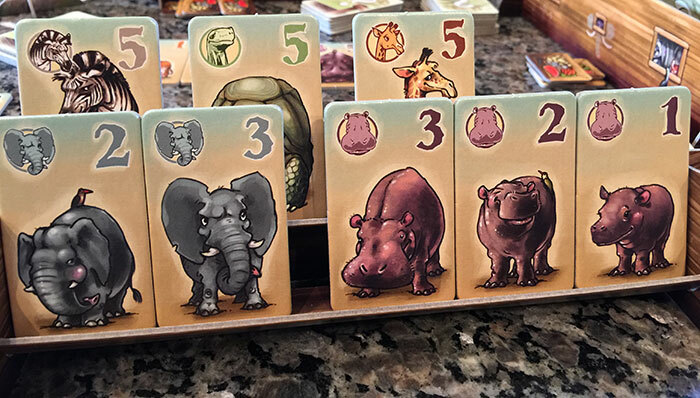 Once one player has collected their tenth animal the round ends and the animals are scored. First remove any pair of animals from a player’s ark and “give them to Noah”. 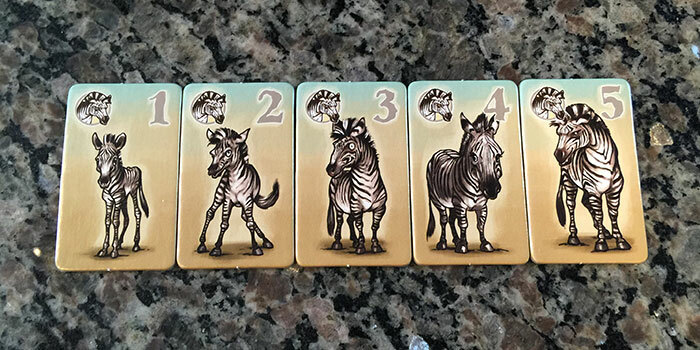 Each single animal on a player’s ark scores face value. Each group of 3-5 animals will score 5 points for each animal. Total up the points from your animals, and add 1 point for each remaining food crate. The player with the most points wins. The notion that you only have 2 actions to choose from really makes the game easy to teach, and to play. You’re constantly having to choose between splitting animals or collecting a group. If you reveal your intent too early other players can foil your plans by splitting the very group you intended to collect (thus the hair pulling). If you wait too long, you may not have enough actions to do what you want. Turns go fast, and the game is generally over in less than 20 minutes. The theme of collecting animals is charming, and the art from Alexander Jung is excellent. 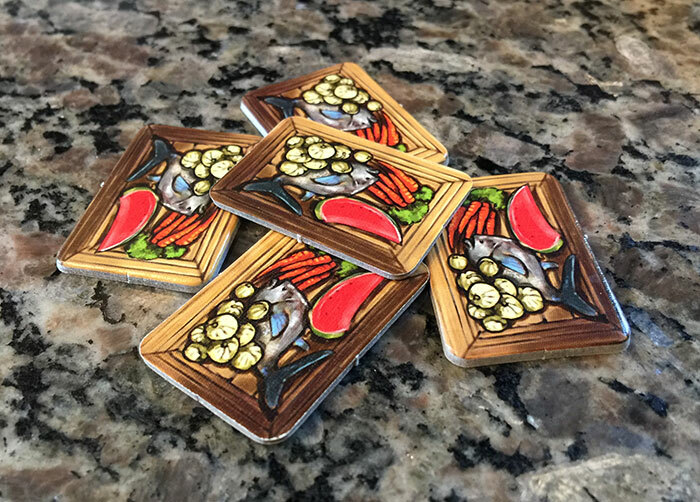 As usual the component quality from Stronghold Games is off the charts, with custom cardboard arks and thick chunky tiles. 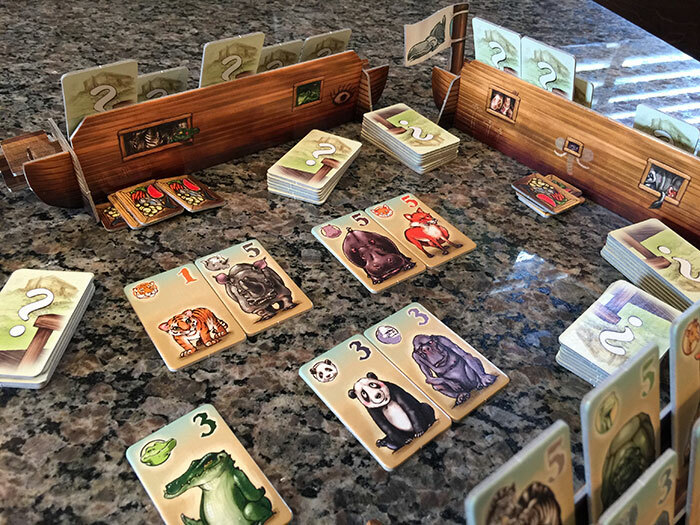 If you’re looking for a great game that you can play with adults and kids alike, then you should really collect Animals on Board. What do you think about Animals on Board? Give us your opinions about what you like and/or dislike about the game in the comments below! Publishers: 999 Games, Ediciones MasQueOca, eggertspiele, G3, Korea Boardgames co., Ltd., Lautapelit.fi, Matagot, Pegasus Spiele, Piatnik, Stronghold Games, Swan Panasia Co., Ltd. Founder of Meeple Mountain, editor of MeepleMountain.com, and software engineer. Father of 4, husband to 1, lover of games, books, and movies, and all around nice guy. I run Nashville Game Night, and Nashville Tabletop Day. Circuit Breaker Review – Throw a Party, Deadmau5 Style!